The man you’d most like in the bar, and not as a pa. Papa’s personal life is well documented, but what made Ernest Hemingway, Ernest Hemingway? Ernest Hemingway – macho action man, big-game hunter, deep-sea fisherman, accomplished sportsman, adventurer; a man who ran with the bulls in Pamplona; a reporter on the front lines during the Spanish Civil War, and when Paris was liberated; a hard drinker, a man who prided himself on his rugged masculinity. A giant personality, larger than life. Ernest Hemingway – one of America’s most revered writers, a writer who eschewed flowery language, who rarely used adjectives, and whose spare direct prose using the minimum of punctuation changed the face of American writing. A giant writer, larger than literature. Hemingway was born in 1899 and began his career as a journalist. That training in short, precise language was a critical element in his development as a writer. The major points about Hemingway’s life are well known. He served as an ambulance driver during World War I and was severely injured. His time in an Italian hospital, where he fell in love with his nurse, was used as the basis for one of his most acclaimed works, A Farewell to Arms (1929). His four wives, his time in Paris in the early 1920s, his prodigious drinking and risky behaviours – they’re all part of the Hemingway legend. Yet underneath the bravado and overt machismo, there lurked a troubled soul. Hemingway suffered bipolar disorder, depression, haemochromatosis, a traumatic brain injury (due to some of that risky behaviour) and alcoholism. In 1960, he began to find writing a chore, despairing because the words just wouldn’t come, and sank further into despondency. His battle with depression ended on July 2nd, 1961 when he shot himself. He was 61. It’s sad to learn that Hemingway’s own father, Clarence, shot himself in 1928; his siblings Ursula and Leicester and his granddaughter Margaux also took their own lives. A tragic family in many respects. Hemingway lives on, of course, in his writings. His first novel was The Sun Also Rises (1925), a kind of examination of the “Lost Generation”, the expat group of American writers, of whom Hemingway was one, whose works took shape in post-World War I Paris. 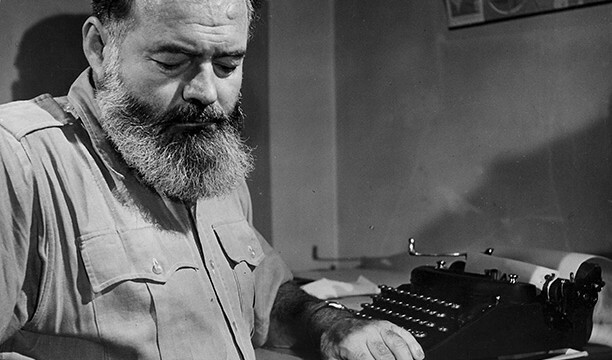 Hemingway’s austere narrative style – direct and to the point – became his literary hallmark. His use of straightforward syntax and the shortage of adjectives gives his writing a kind of inbuilt tension where emotions and descriptions are kept in check and yet are clearly conveyed. It’s quite powerful. In the late summer of that year we lived in a house in a village that looked across the river and the plain to the mountains. In the bed of the river there were pebbles and boulders, dry and white in the sun, and the water was clear and swiftly moving and blue in the channels. Troops went by the house and down the road and the dust they raised powdered the leaves of the trees. The trunks of the trees too were dusty and the leaves fell early that year and we saw the troops marching along the road and the dust rising and leaves, stirred by the breeze, falling and the soldiers marching and afterwards the road bare and white except for the leaves. This very simple description is more than enough. It’s not necessary to know the colour of the house or the size of the village or the species of trees. We get it. Hemingway writes only what’s needed. We can infer the rest. Someone once wrote that Hemingway got the most from the least and this captures his style very well. You only heard the statement of the loss. You did not see the father fall as Pilar made him see the fascists die in that story she had told by the stream. You knew the father died in some courtyard, or against some wall, or in some field or orchard, or at night, in the lights of a truck, beside some road. You had seen the lights of the car from down the hills and heard the shooting and afterwards you had come down to the road and found the bodies. You did not see the mother shot, nor the sister, nor the brother. You heard about it; you heard the shots; and you saw the bodies. The Herculean struggle between an old fisherman and a massive marlin is told in The Old Man and the Sea (1952), which won him the Pulitzer Prize. It’s more than a “man versus nature” scenario; Hemingway explores the notions of endurance, respect and even love – the fisherman comes to love the fish against which he is battling. 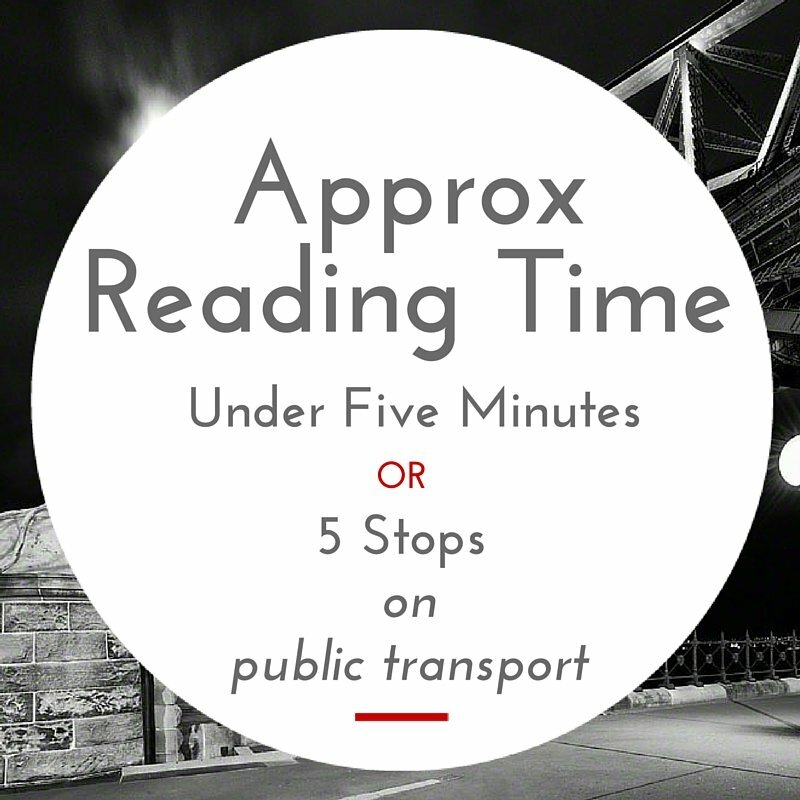 Among Hemingway’s other works are Death in the Afternoon (1932), a non-fiction account of bullfighting in Spain, Across the River and Into the Trees (1950), about a dying man recalling the woman he loved in Italy during World War II, and A Moveable Feast, a memoir about his time in Paris in the 1920s, published after his death. Hemingway’s great, but I have a problem with his depiction of women. I know – who the hell am I to find fault with Hemingway? Still, here goes. His male characters’ interactions with female characters are often stilted and unnatural. The day after Catherine and Frederic meet in A Farewell to Arms, she’s calling him “darling” and all their subsequent dialogue, including declarations of love, just don’t cut the mustard with me. She’s a bit idealised and it’s all a bit blokey. Do other women feel like this? My own reservations aside, Hemingway’s a giant. He was awarded the Nobel Prize for Literature in 1954 “for his mastery in the art of narrative… and for the influence that he has exerted on contemporary style”. They don’t award the Nobel Prize lightly, so if you’ve not given much thought to Hemingway, perhaps now is the time to put that to rights.